The Detroit Regional Partnership, an organization dedicated to marketing and attracting economic development, has launched. The Detroit Regional Partnership today announced its launch. The organization is dedicated to spurring job growth in southeast Michigan by creating a marketing and attraction economic development arm for the 11-county region it serves. The organization started a 30-day listening tour with stakeholders across the region to learn about each community’s economic development programs and priorities. Matherly transitioned from a role as president and CEO of a similar initiative in Virginia. The organization will build upon the people and assets of the business attraction group that was formerly part of the Detroit Regional Chamber. The new group also will respond to request for proposals by national and international businesses and organizations looking to establish an office, a headquarters, manufacturing operations, and other investments that generate jobs. 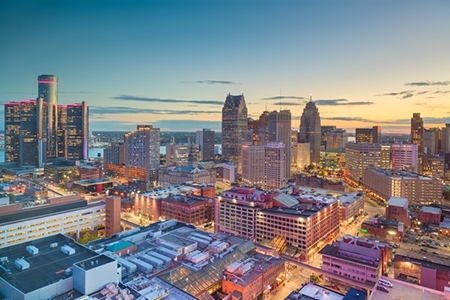 The group is based in Detroit and was founded by a group of business and philanthropic CEOs, partly due to a request for proposal by Amazon to establish a second headquarters outside of Seattle. Detroit’s bid was passed over in favor of what turned out to be two headquarter locations — Long Island City, N.Y. and Arlington, Va.